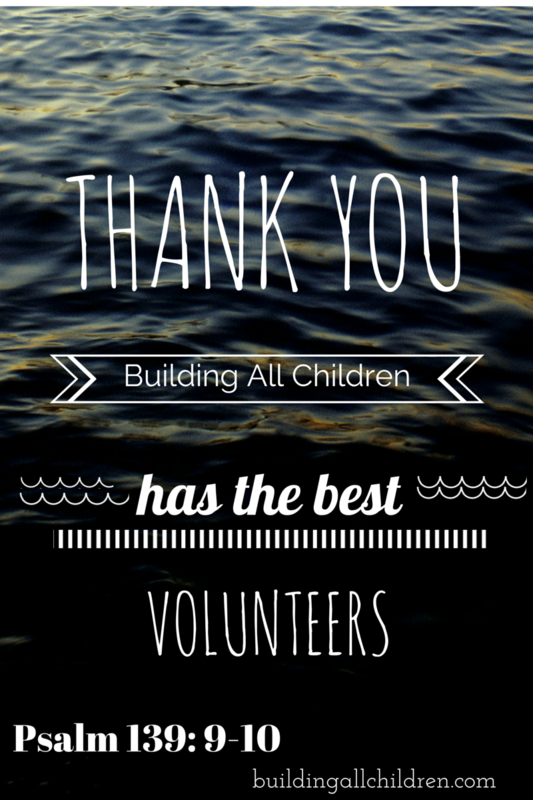 Building All Children is grateful for all our wonderful volunteers. We couldn’t do this ministry without you! We are thankful for the hand-written thank you notes, creating the newsletters, keeping up with the latest and greatest research, playgroups, summer activities, loving and serving families, and helping children! We are thankful for your efforts in ‘BUILDING’!!!! Building All Children THANK YOU!